Migration: Exploring Future Society” project intends to discover, discuss and deal with migration-related topics in EU and EECA region. The project covers two parts: training course and youth exchange. 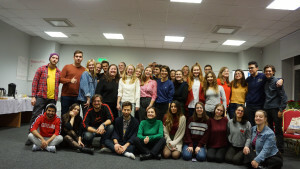 Training course which was the first stage of the project took place in Vilnius, Lithuania from 8th to 15th of December. 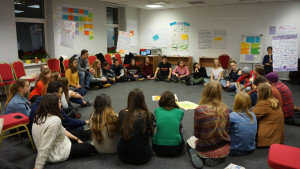 Main objectives of the training course were to increase awareness of young people about migration, stimulate peacebuilding and social integration, non-formal learning, and leadership skills, share and present migration challenges and experience of each country; to promote tolerance, solidarity and inter-cultural exchange between countries, give information about Erasmus+ and motivate future cooperation among participant organizations. During 6-day days, various activities were taken place to achieve the aforementioned objectives. On the first day of the training course, participants were introduced about the schedule of the programme and overview of planned activities were informed to the participants by the facilitator. Team-building, name games, and energizers also assisted participants in break the ice and to get to know each other better. On the second part of the day, session had been based on matching game to deliver the main vocabulary such as (remittance, pull and push factors, IDPs, asylum seekers etc.) to participants in order to make them familiar with the main concepts of migration topic. On the second day, presentation of countries had been given to the participants a week before the project to present as a Homework about the migration management and overall policy, the situation of migration in the country within the country groups. The second session was about the Stories of migration. This session was based on the human library. Migrant living in Lithuania who was originally from Afghanistan was invited to talk about his migration story. The following day, participants analysed the causes and consequences of the migration with pull and push factors. They used stickers to deliver their opinions in the “Migration tree” which included pull factors in one side and push factors on the other side of the tree. The session was about to deliver a message of media influence and social opinion in the migration topic. The session began with the exercise where participants were figuring out how blogger, photographer, and journalist would react in the same situation. Participants worked in peers to discover more about each other and implement this task. 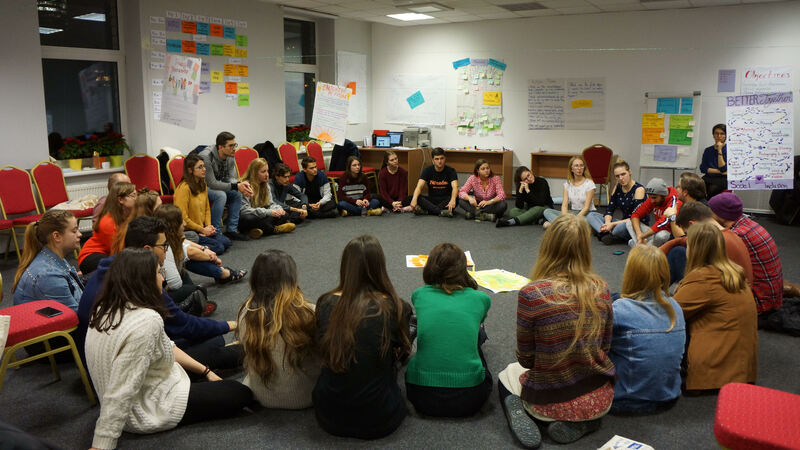 On the fourth day, the kick-off activity of the day was related to human rights. This activity was based on the simulation of ongoing border issues. 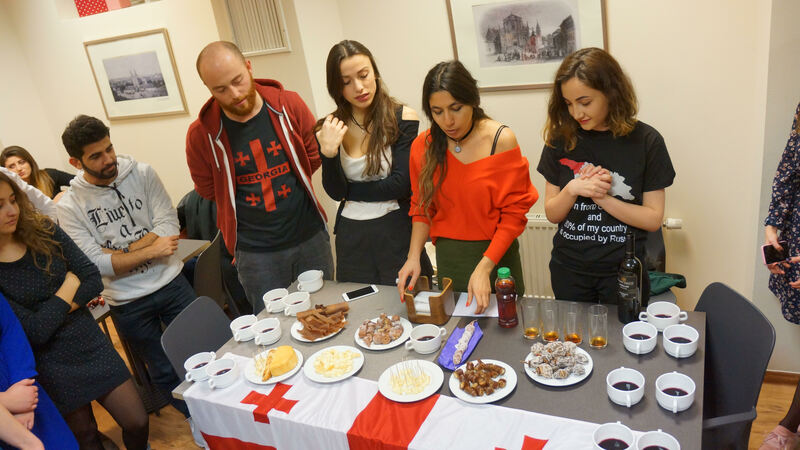 Participants were divided into three groups: refugees, passport controllers, and observers. Refugee group of participants made their own life stories which they had to tell and explain their situation when crossing the border. Passport controllers were checking their documents and deciding if they could let refugees enter the country. Observers watched each group and told the overall situation and observations about both groups. On the second part of the day, a presentation about the smuggling and human trafficking increased the awareness of participants about the breach of human rights and find the utmost solutions to deal with this challenge. The next day, the first session began with the short video which demonstrated the story of one young male migrant starting from Eritrea to the United Kingdom, how he had survived after dangerous trips in the boats, forests. 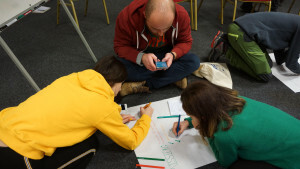 Then, participants wrote “visible and invisible walls”, reflection on the borders, fences for migrants in the flipchart. At the following session, participants met with experts from the International Organization for Migration Mission in Lithuania. 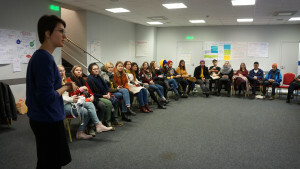 During expert-meeting participants got to know about the migration policies in Lithuania, things implemented by the country and actions related to immigrants. The last day, participants visited Red Cross and Caritas local NGOs which were working with immigrants. In both organizations, strategies, implemented projects were presented to the participants and they asked questions what interested them. Afterward, additional time was given for the groups to finish action plans to present for other participants. During the presentation of action plans, groups presented their action plans and each participant had the possibility to listen to every plan and give feedback or suggestion about the action plan. At the closing part, evaluation forms were distributed to the participants to obtain the feedback from the participants on the quality and implementation of the project. 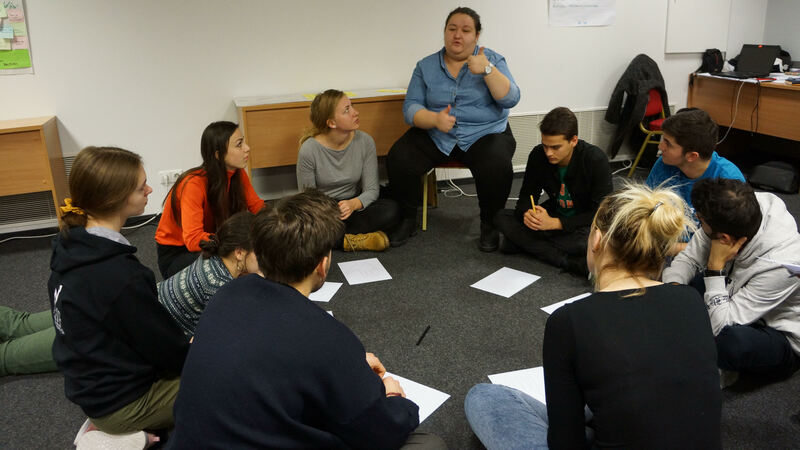 Then each participant was given some time to share their experience and thoughts about the project. 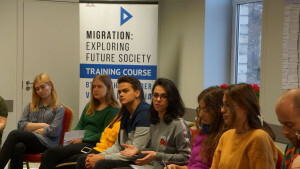 The second stage of the project will be youth exchange that aims to continue the discussion about migration and to learn more about how migration-related challenges are overcome and solved. Youth Exchange will take place in Sumgayit, Azerbaijan from 2nd to 9th of March, 2019. Organizing visits to governmental and non-governmental organizations will help participants to get more practical knowledge and involvement in the integration process.